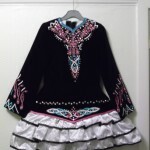 Beautiful Irish Dancing Dress made in London. 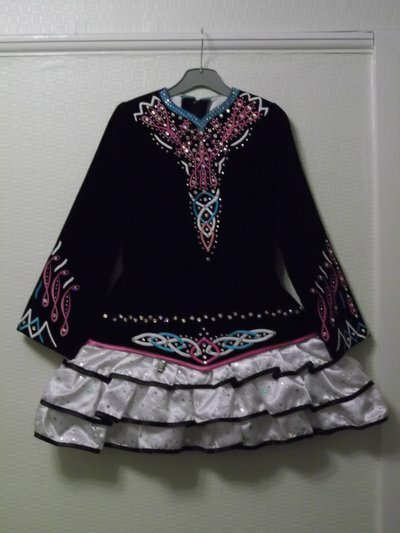 A stunning light black velvet dress, embroidery in pink, blue and white. 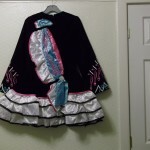 Dress is whie underneath, lovely shawl. 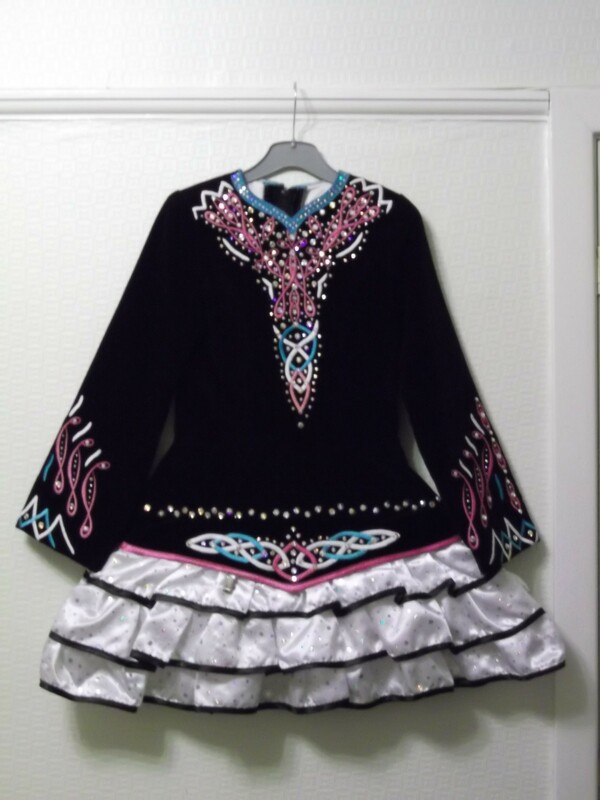 The dress is in very good condition Looks great on stage – very eye catching decorated wih Swarskovski Crystals. Comes with tiara on band. Well looked after, from a clean non smoking home, much loved dress. 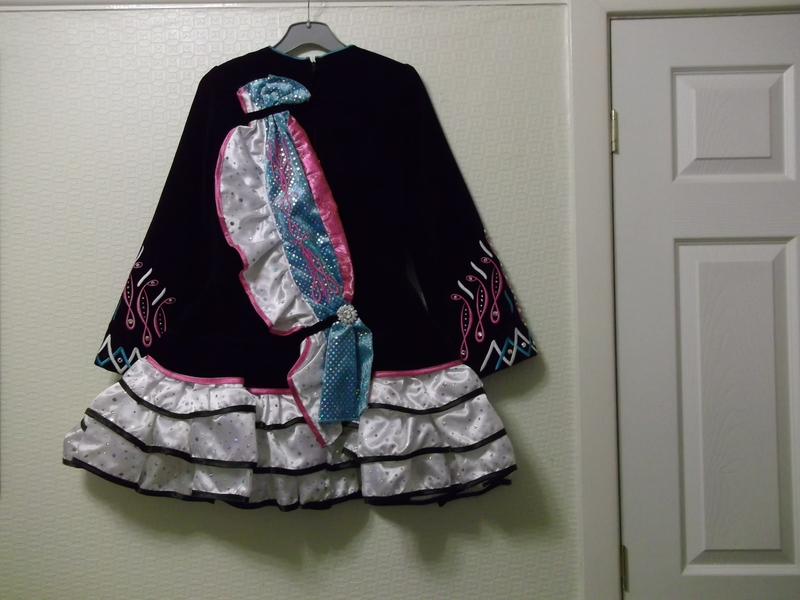 The photos do not do the dress justice. The dress is advertised elsewhere so have the right to stop the sale. Postage £20.00 Please email for cost abroad.